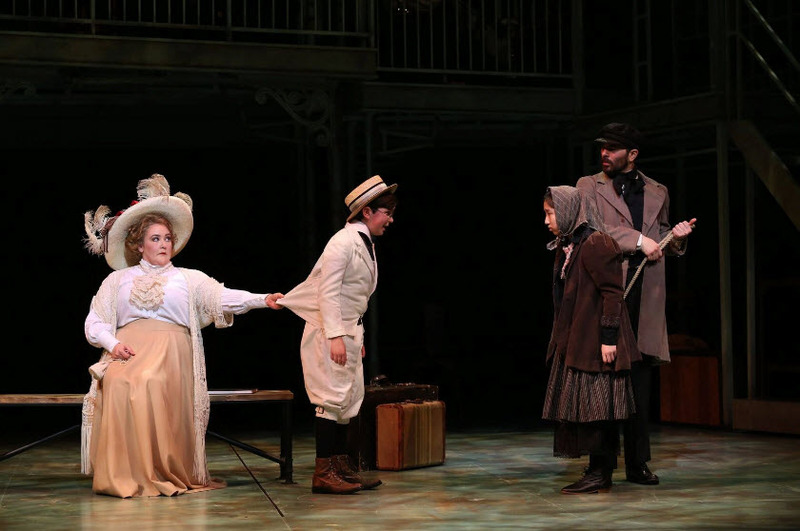 The Ford’s Theatre Society delivers a heart-meltingly tender Ragtime by gifting the audience with twenty-seven extraordinarily talented performers in this portrait of intersecting American lives. Taken from E. L. Doctorow’s eponymous novel we become willingly immersed in a sweeping 20th century saga of three distinct elements of American society – Black America, on the rise as a strong middle class in Northern cities; middle and upper class White Americans; and Jewish and Irish immigrants bent on hard work and rapid assimilation in their new found country. Director Peter Flynn masterfully takes the reins of this award-winning Broadway lollapalooza that pairs Terrence McNally’s book with Lynn Ahrens’ emotionally stirring lyrics and Stephen Flaherty’s indelible music. A drop dead amazing cast takes us the rest of the way. In this period of America’s rapid advance, the country was forced to confront the underlying causes of racism and an unprecedented influx of immigrants. Ragtime brings us face to face with the headliners of the day – Emma Goldman (Rayanne Gonzales) an early labor reformer and union organizer; financier J.P. Morgan (Christopher Bloch); Harry Houdini (Christopher Mueller) the Jewish immigrant who became the world’s most famous magician; and Evelyn Nesbitt, the great beauty who carved out her vaudeville career on a velvet swing while paramour to millionaire architect Stanford White (Elan Zafir). 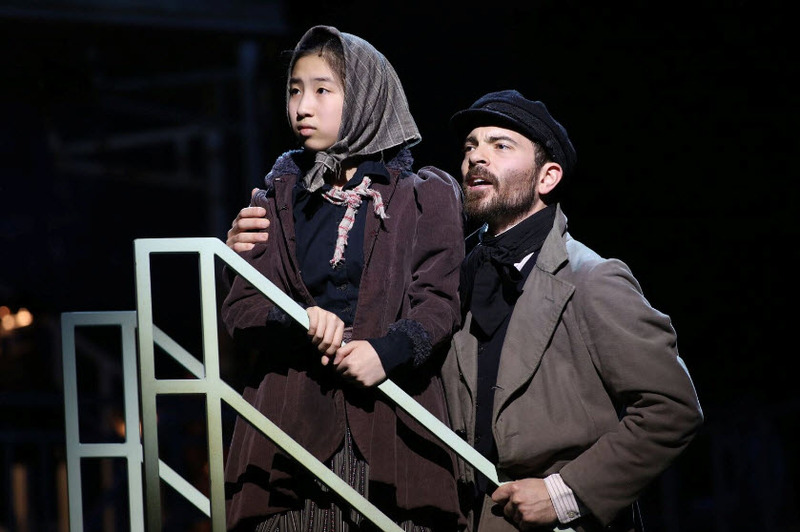 It also introduces us to the fictional character of Tateh (Jonathan Atkinson), a first-generation Jewish immigrant and silhouette maker and his little girl (Dulcie Pham). DulciePham and Jonathan Atkinson in the Ford’s Theatre production of “Ragtime,” directed by Peter Flynn. Photo by Carol Rosegg. 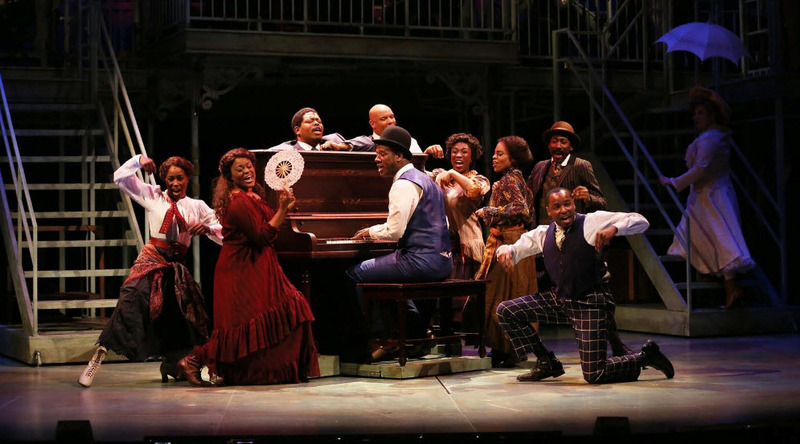 It harkens back to a period that both blossomed and suffered under the rapidly changing landscape of industrialization and growing civil unrest, when Ragtime music was sweeping the country and Coalhouse Walker, Jr. (Kevin McAllister), a fictional version of Scott Joplin, was creating a new sound that crossed over into White high society. Booker T. Washington (Jefferson A. Russell) the great African-American orator and Presidential advisor guided and inspired Black Americans and Henry Ford (John Leslie Wolfe) hired them. In Doctorow’s sweeping saga ordinary people become extraordinary people as their lives intersect and their humanity is tested. A very proper Victorian family of Father (James Konicek) and Mother (Tracy Lynn Olivera) live with their Little Boy (Henry Baratz). While Father is off on a polar expedition Mother discovers a Black newborn abandoned in her garden and goes about finding the boy’s mother. “I never thought they had lives besides our lives,” she confesses while searching for the baby’s mother. When at last she finds Sarah (Nova Y. Payton), she offers her the comfort of their home – allowing her humanity to overtake her Victorian rigidity. Scenic designer Milagros Ponce de Leon gives us three levels of verdigris wrought iron staircases on which the cast can be highlighted for their separate numbers while on stage throughout the show. The orchestra remains in full view on the central level, remaining an integral part of every scene. The blending of the human form on stage comes from Choreographer Michael Bobbit. In one particular scene the characters perform a ragtime dance, until they realize they are dancing with someone of another race and promptly change partners. 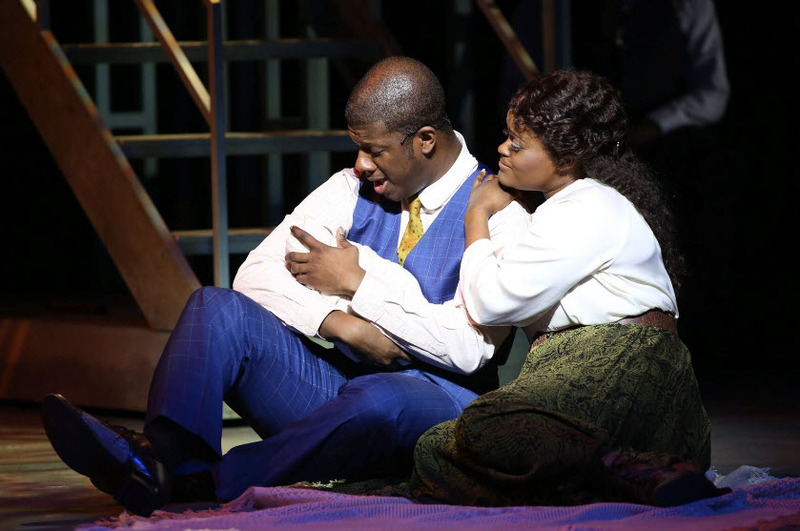 Kevin McAllister and Nova Y. Payton in the Ford’s Theatre production of “Ragtime,” directed by Peter Flynn. Photo by Carol Rosegg. Twenty-eight songs come at you with such passion and such emotion, I had goosebumps more times than I could count as the ensemble acted out a poignant story of hope, redemption, human rights and justice. Highly recommended. Grab your tickets now! Through May 20th at Ford’s Theatre, 511 Tenth Street, NW, Washington, DC 20004. For tickets and information visit www.fords.org or call 202 347-4833.